Morning Peeps! Today I have a fun group of items that all my current hostess club member's received in June with the launch of the New Stampin' Up! Catalog!! My thank you gift to them for being in my hostess clubs and transitioning to the new Stampin' Up! Catalog! Everyone received a sample of the New In Colors in card stock, ribbon and the book mark. I created a fun card also showcasing the new in colors too; card details are HERE. Then I also created a fun little bag to package it all up and also a post-it note strip holder! I have several different types of hostess clubs if you would like to join one! Here is a quick look at the different types of clubs I have. The In Color Club is a great way to get the fabulous new In Colors and spread out the cost over several months! For more details please visit the In Color Club Page. Want a lot out of the catalog or on a budget? Then the Hostess Club is for you! For $25 a month (before shipping and tax); add to your supplies! Join my 6/$25 Club!! The commitment is for 6 months. Join my club for anywhere in the US and use the “Hostess Code” I email you each month and place your order online through my store and have it directly shipped to you!!! For all the details please visit my 6/$25 Club Page. If your looking for a club with a little more then my 6/$50 Hostess Club is the one for you! It has a few more special perks for club member's. Every month club members get access to an exclusive on-line site where I post 4 projects, 4 Mini PDF's and 4 Video's for each project. For all the details visit the 6/$50 Hostess Club Page. Anyone that completes there commitment in any of my clubs will also qualify for one of my Rubber Redneck On-line Hostess Appreciation Event!!! What are you waiting for?? Join one or more of my clubs!!! I love the Kraft Tag A Bag Gift Bags! They work fabulous for giving gifts and there supper fun to decorate! Stamp the flower from Love & Affection Stamp Set in Crumb Cake right onto the Kraft Tag a Bag Gift Bag. Add some Affectionately Yours Designer Series Paper and Designer Washi Tape to the bag. Stamp the greeting from Perfectly Wrapped Photopolymer Stamp Set in Night of Navy onto Whisper White card stock. Die cut out the greeting and a piece of Daffodil Delight card stock using the Big Shot and Layering Square Framelits. Cute little post-it note holder! Stamp the flower from Perfectly Wrapped Stamp Set in Cucumber Crush onto the Cucumber Crush card stock. Add some Affectionately Yours Designer Series Paper. Stamp the greeting in Night of Navy. Die cut out the greeting and a piece of Watermelon Wonder card stock using the Big Shot and Layering Square Framelits. Technorati Tags: #rubberredneck #clubs #perfectlywrapped #loveandaffection #stamps #sudemo, Big Shot, Demonstrator Holly Krautkremer, Gifts, Love and Affection, Perfectly Wrapped, Rubber Redneck Hostess Clubs, Stampin' Up! Like getting projects in the mail? Join one of my Hostess Clubs!! Details below. Today's share is my June Hostess Club Project for my 6/$25 Hostess Club members!! Each month my club members receive a completed project that I created along with typed directions, video tutorial and a paper kit to recreate the project of the month. This is just one of the fun perks for being in my hostess club! My 6/$25 Hostess Club is perfect for anyone on a budget!! For all the details please visit my 6/$25 Club Page. If your looking for a club with a little more then my 6/$50 Hostess Club is the one for you! It has a few more special perks for club member's. Every month club members get access to an exclusive on-line site where I post 4 projects, 4 Mini PDF's and 4 Video's for each project. Here is a sneak peek at June's 6/$50 Hostess Club Projects. This 6/$50 Club group wrapped up this month. All the members in this group qualified for my Rubber Redneck On-line Hostess Appreciation Event that I will be holding in September!! More details to come. June's Club projects focused on using the June's Customer Promo which was a sample of the Painter's Palette Designer Series Paper. The 6/$50 Club also received the four completed projects above + access to an exclusive site where they can view the video's and download the PDF'S for these projects! For all the details visit the 6/$50 Hostess Club Page. Cut a piece of the Playful Palette Designer Series Paper. Wrap around a ghirardelli chocolate. Make sure to not make it too tight so the recipient can slide it off the chocolate. Place a strip of Playful Palette Designer Washi Tape across the center. Tie some Solid Basic Black Baker's Twine around the chocolate. Create a banner using the Thoughtful Banners Stamp Set + Duet Banner Punch Bundle. Add a pretty little butterfly to finish it. I am excited to announce the details of the New In Color Club!! The club details were posted later this year due to all the back orders on the fabulous new In Colors before the catalog launched!! That says how fabulous these new in colors are! Starting today I am taking sign ups for my In Color Club!! The club will run August-December 2016 there is also an option to purchase my entire In Color Club at once too for those of you that want it NOW!! If more people want to sign up after the first group fills up I can start another group; please email me if you're interested. My email is rubberedneck@gmail.com All the details are listed below or you can visit the In Color Club Page. Below I have a video covering the club details. This also is a great way to see the new In Color products too! Here is a fun card I created featuring all of the BRAND NEW In Colors!! Those of you on my customer list received this in the mail from me with the New Catalog Package!! If you would like the New Catalog Goodie Package visit HERE. Ink the stamp from Swirly Bird Stamp Set in Sweet Sugarplum and stamp onto the Sweet Sugarplum card stock on the right side. Cut a piece of Whisper White card stock. Take the stamp from Swirly Bird Stamp Set; ink it in the following colors Sweet Sugarplum, Peekaboo Peach, Flirty Flamingo, Emerald Envy, Dapper Denim. Stamp each color onto the Whisper White card stock randomly remember to clean your stamp between each color when stamping. Die cut out a piece of Dapper Denim card stock using the Big Shot and the Swirly Scribbles Thinlits. Create a banner using the Banner Triple Punch. Stamp the images from Perfectly Wrapped Stamp Set in Peekaboo Peach and Flirty Flamingo. Today's share is my May Hostess Club Project for my 6/$25 Hostess Club members!! Each month my club members receive a completed project that I created along with typed directions, video tutorial and a paper kit to recreate the project of the month. This is just one of the fun perks for being in my hostess club! My 6/$25 Hostess Club is perfect for anyone on a budget!! For all the details please visit my 6/$25 Club Page. May's Club projects focused on using the May's Customer Promo which was Metallic Sequins. The 6/$50 Club also received the four completed projects above + access to an exclusive site where they can view the video's and download the PDF'S for these projects! For all the details visit the 6/$50 Hostess Club Page. The great thing about this project is you can use it for a treat holder or a gift card holder. You can easily change it out too for any time of the year! Perfect for anyone; coworkers, friends, family and etc. Cut 1 piece of 2016-2018 In Color In Color Envelope Paper 6" x 6". Fold into a pouch (watch the video on how to do this). Die cut out a piece of Silver Glimmer Paper with the Big Shot and Layering Circles Framelits. Add a strip of 2016-2018 In Color Designer Series Paper and 3/8 Sweet Sugarplum Ruched Ribbon. Stamp the images from Perfectly Wrapped Photopolymer Stamp Set; in Peekaboo Peach and Sweet Sugarplum. Zip the image through the Big Shot with the Layering Circles Framelits die cutting it out. Finish by adding some Silver Metallic Thread, Rhinestones and a Metallic Enamel Shape. Today's share is my March Hostess Club Project for my 6/$25 Hostess Club members!! Each month my club members receive a completed project that I created along with typed directions, video tutorial and a paper kit to recreate the project of the month. This is just one of the fun perks for being in my hostess club! My 6/$25 Hostess Club is perfect for anyone on a budget!! For all the details please visit my 6/$25 Club Page. March's Club projects are focusing on using the March Promotion of Ribbons! The 6/$50 Club also gets the completed project above. For all the details visit the 6/$50 Hostess Club Page. Cut a piece of It's My Party Designer Series Paper. Punch one end out with the Triple Banner Punch. Stamp the image from Over the Rainbow Stamp Set in VersaMark onto the It's My Party Designer Series Paper. Pour Stampin' Emboss Powder Gold over image and heat set with Heat Tool. Add a piece of Metallics Glitter Tape (SAB) across the top. Cut a piece of Crushed Curry card stock and punch out ends with the Banner Punch. Some Gold Metallic Thread added to the right. Take the stamp from Over the Rainbow Stamp Set; ink it in Cucumber Crush and stamp onto a piece of Whisper White card stock. Punch out the image with the 1 3/8 Circle Punch. Wrap a piece of Gold Foil Sheet around an Andes Mint; creating a gold bar. Technorati Tags: Demonstrator Holly Krautkremer, Hostess Club, It's My Party DSP Stack, Over the Rainbow, Rubber Redneck, St.Patty's Day 6/$25 Club, Stamp Set, Stampin' Up! Today's share is my February Hostess Club Project for my 6/$25 Hostess Club members!! Each month my club members receive a completed project that I created along with typed directions, video tutorial and a paper kit to recreate the project of the month. This is just one of the fun perks for being in my hostess club! My 6/$25 Hostess Club is perfect for anyone on a budget!! For all the details please visit my 6/$25 Club Page. If your looking for a club with a little more then my 6/$50 Hostess Club is the one for you! It has a few more special perks for club member's. Every month club members get access to an exclusive on-line site where I post 4 projects, 4 Mini PDF's and 4 Video's for each project. Here is a sneak peek at February's 6/$50 Hostess Club Projects. February's Club projects are focusing on using Many Marvelous Markers. The 6/$50 Club also gets the completed project above. For all the details visit the 6/$50 Hostess Club Page. Create a cone out of the Brights Designer Series Paper Stack (Pumpkin Pie). Punch out piece of Gold Glimmer Paper with the 2 3/8 Scallop Circle Punch. Use the 2" Circle Punch to punch out a piece of Whisper White card stock. Stamp the images from Endless Thanks Stamp Set; ink them in Garden Green, Hello Honey and Pumpkin Pie. Stamp the images onto the Whisper White card stock in a collage. Stamp the image from Endless Thanks Stamp Set in Tuxedo Black Memento Ink onto a piece of Whisper White card stock. Take the stamp from Teeny Tiny Wishes Stamp Set; ink it in Garden Green and stamp onto the banner. Cut out the banner and attach across the Whisper White circle. Using the Fringe Scissors cut strips of Garden Green card stock and curl the pieces around a marker and attach to the back of the Whisper White circle. Finish the medallion by stamping the flower in Pumpkin Pie and then placing a Metallic Sequin onto the center. Fill a 4 x 6 Cellophane Bag with a treat. Cut a piece of Garden Green card stock with the Fringe Scissors and wrap around the top of the Cellophane Bag. I am back today with another fun gift idea for you all. The picture above is the Christmas Gifts I made for all my current club members back in December. I appreciate my club members so much and wanted to spoil the members. Thank you all for your support :) I used the Endless Thanks Photopolymer Stamp Set item #140273 and the Wonderland Stamp Set from the Holiday Catalog. Tip: You can easily take this idea and change items out for any time of the year! Or if you have those retired items you can get a jump start on your Christmas Gifts for next year. I usually do and store them in a tote. Here is close up of the gifts. First up is the Frappuccino Bottle. I found these at Target in the dollar section back in November. I don't drink Frappuccino so I was happy to find these! I filled them with some goodies inside. I wrapped a piece of Merry Moments Designer Series Paper and Blushing Bride Glimmer Paper around the bottle. Punch out Mint Macaron card stock with the 2 1/2" Circle Punch and punch out a piece of Gold Glimmer Paper with the 2 3/8 Scallop Circle Punch. Next I punched out a piece of Whisper White card stock with the 2" Circle Punch. I stamped a collage using the stamps from Endless Thanks Photopolymer Stamp Set in Mossy Meadow, Mint Macaron, Blushing Bride and Calypso Coral. Love this color combo together! I took the stamp from Wonderland Stamp Set; inked in VersaMark and stamped onto the Whisper White card stock. I covered it with Gold Stampin' Emboss Powder then heat set with the Heat Tool. Just gorgeous! Next up I stamped the banner from Endless Thanks Photopolymer Stamp Set in Memento Ink Tuxedo Black. I took the stamp from Oh, What Fun Photopolymer Stamp Set; inked in Calypso Coral and stamped onto the Whisper White banner. To finish I tied a piece of 1/8 Gold Ribbon around the top of the bottle. My hostess club members also received the little box I shared the other day for my down-line HERE. I filled with Chocolate. The box was created out of Mint Macaron card stock (this will be a future class project; as mentioned you can change it out for any time of the year!! Hmm perhaps a birthday class?? Sneak peek for you). I wrapped a piece of Merry Moments Designer Series Paper around the bottom of the box. For the tag I zipped a piece of Whisper White card stock through the Big Shot with the Tags & Labels Framelits die cutting it out. I took the stamp from Oh, What Fun Photopolymer Stamp Set; inked in Calypso Coral and stamped across the bottom. I inked the antlers from Wonderland Stamp Set in VersaMark and covered it with Gold Stampin' Emboss Powder. I then heat set it with the Heat Tool. I used the bell from the Oh What Fun Tag Project Kit and tied the tag around the candy cane with 1/8 Gold Ribbon. Here is the close up of the card that I sent to each of my club members too! I love these fun sized cards! Isn't this just gorgeous? I LOVE LOVE those colors together. They would work perfect for spring too! I placed a piece of Merry Moments Designer Series Paper and Blushing Bride Glimmer Paper in the center of the card. I took the stamp from Wonderland Stamp Set; inked in VersaMark and stamped onto the Whisper White card stock. I covered it with Gold Stampin' Emboss Powder then heat set with the Heat Tool. Once the medallion was completed I added some Gold Metallic Thread to the back and attached it to the center of the card. I then placed some Rhinestone Basic Jewels onto the card. Today's share is my August Hostess Club Project for my 6/$25 Hostess Club members. Each month my club members receive a completed project that I created along with typed directions, video tutorial and a paper kit to recreate the project of the month. This is just one of the fun perks for being in my hostess club! My 6/$25 Hostess Club is perfect for anyone on a budget!! For all the details please visit my 6/$25 Club Page. For this cute and fun party favor I used the Build a Birthday Stamp Set item #138646 (pg. 11). This is a great birthday set but what I like the most about it; it could also be used for Wedding, Retirement and etc. * Die cut out the Bermuda Bay card stock using the Big Shot and Circle Framelits. * Use the Banner Punch to notch out the ends of the Cherry on Top Designer Series Paper. * Add little "wicks" to the candles using the Bermuda Bay Thick Baker's Twine. * Hold the Bermuda Bay card stock and cellophane bag together with the 1" Cucumber Crush Dotted Lace Trim. Technorati Tags: 6/$25 Club Project, Arrows Embossing Folder, Banner Punch, Bermuda Bay Thick Baker's Twine, Big Shot, Birthday, Build a Birthday, Cherry on Top Designer Series Paper, Circle Framelits, Demonstrator, Holly Krautkremer, Hostess Club, Paper Crafts, Party Favor, Rhinestone Basic Jewels, Rubber Redneck, Stamp Set, Stampin' Up! NEW WEEKLY DEALS (July 7-13, 2015 ONLY) whiles supplies last. Clearance Rack: Lots of new items have been added to the clearance rack!!! Hurry and get them before they are gone!!! Early Registration is OPEN for The Rubber Redneck STAMPede “Fresh Cuts” Edition 2015!! The early price is $19.99, for 6 projects, with step by step directions, full picture PDFS and Video Tutorials until July 17, 2015. That is a $5 savings off the regular price!!! On July 18, 2015 the regular price for this class $24.99. This is one event you DON’T want to miss!! These projects can be simply changed out to use any product you have on hand!!! If your a demo this class is for you! You can demo these projects for your workshops or do a stamp camp with them!! When placing an order on-line from July 1- July 31, 2015 use this hostess code to tie your order to me and qualify for my customer promotions below!! You'll also receive an additional little thank you gift from me. (Usually one of the following; sample of product, handmade gift, or free on-line tutorial on the STAMPede class site). Please don't use the hostess code if your order is $150 or more your order will qualify for it's own hostess benefits. Place an order of $50 or more (before shipping and tax) with me from July 1-31, 2015 and receive a free container of the Brights Sequins!! Place an order through my Stampin' Up! On-line Store from July 1-July 31, 2015 and receive this card and a free mini pdf. 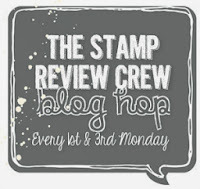 Once your order is placed and I have confirmation from Stampin' Up! I will email you the mini pdf within 48 hours. You card will be mailed out the next business day. This is a great way to get all the fabulous new In Colors and spread the cost out over a few months!!! The club runs from August – December 2015. If more people want to sign up after August I can start another group; please email me if you're interested rubberredneck@gmail.com For details visit the In Color Club Page.